and groceries for people four different ways. a limited ability to cook; and a full access to a kitchen. Additionally, Trinity sends groceries to Haymarket Regional Food Pantry. and a crew of about 15 helpers, through the generosity of Trinity members. This year we added a new outdoor food pantry, to be available 24/7. People can come in daily for a sack lunch. People can come in once a week for a bag of groceries. 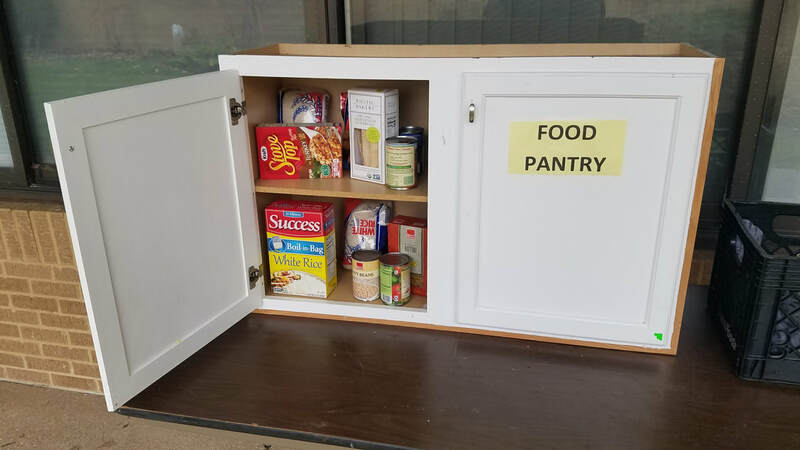 The outside food pantry is always open.